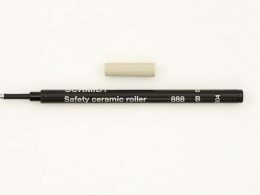 SCHMIDT SRC 5888 Safety Ceramic Rolling Ball refill with metal tube, stainless steel tip with 0.7 mm ceramic ball – The safety technology features extended shelf-life characteristics. 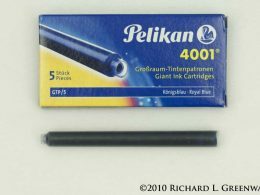 These rollerball refills fit most standard rollerballs. 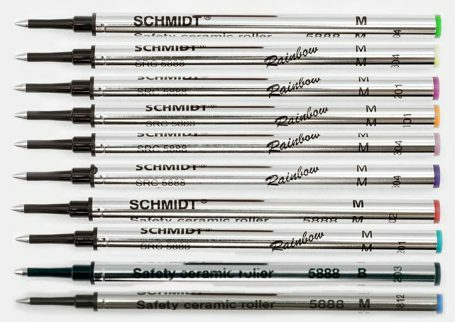 Widely used in most capped rollerball pens, the safety ceramic rollerball pen refill, also known as the Schmidt 5888 ceramic refill, is characterized by a long cylinder that abruptly comes to a point at the one end and is flat on the opposite, non-writing end. They sometimes have other markings, or other brand names on the barrel, but as long as the size is the same, it will work for your rollerball pen. 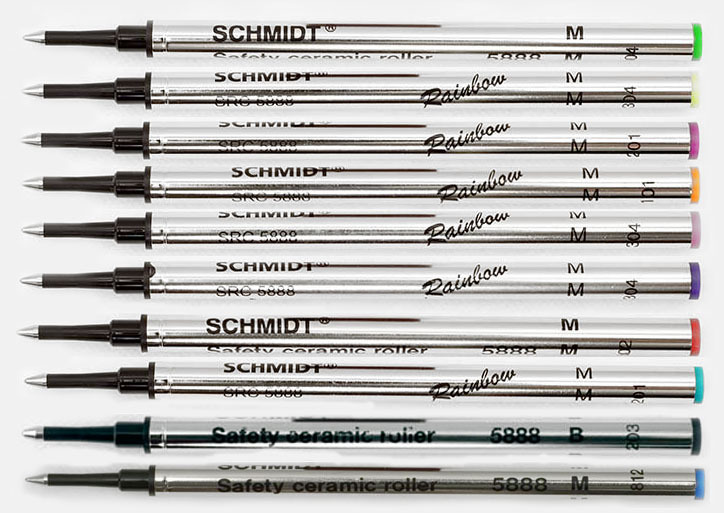 Most of the branded refills like Waterford, ACME, etc are manufactured in the same plant in Germany and are interchangeable, meaning they will fit in a variety of rollerball pens. 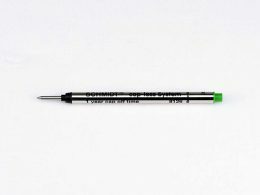 This is the metal body version of the 888. 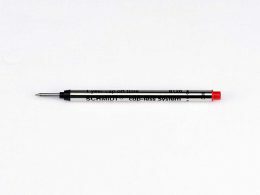 Please note: some manufacturers require your pen to use only the 888 (a plastic body refill). 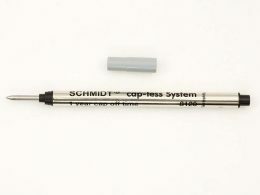 The pen requires the plastics “give” which the metal body does not have. 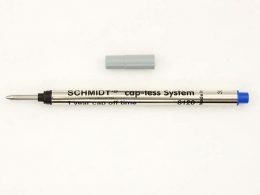 Review any documentation that accompanied your pen before forcing a metal body refill into your roller ball. 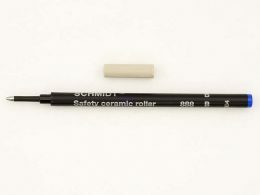 Pen Brands that fit Ceramic Rollerball Pen Refills : Aldo Domani, ACME, Aurora, Bexley, Brossert & Erhard, Colibri, Delta, Diplomat, Elysee, Faber Castell, Foray Focus, Hauser, Inoxcrom, Itoya, Jean Pierre Lepine, Krone, Marlen, Montegrappa, Monteverde, Nettuno, OMAS, Retro 51, Rotring, Schmidt, Schneider, Sensa, Stipula, Visconti, Yafa.